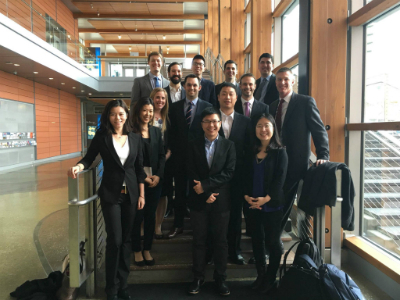 Teams from regional universities’ real estate programs bring fresh thinking to the CRE community in this annual competition that combines mentorship and real-world project experience. The 2019 Pacific Northwest NAIOP Real Estate Challenge concerns a site at 5th and Bell owned by this year’s sponsor, Gary Merlino Construction. Three select student teams from The University of Washington, Portland State University and The University of Vancouver real estate programs will be presented with site information and market details, and will work with local market subject matter experts to formulate a full development analysis and pursue the best achievable return. A panel of judges active in the local market will announce the winner after final presentations at the NAIOPWA March breakfast event in Seattle. Each year, site selection begins in August and the contest runs January through mid-March. The annual Real Estate Challenge presentation serves as the program for one of NAIOP WA's highly engaging educational events. In 2019, the March Breakfast Meeting on Wednesday, March 20, will feature the final presentations and winner announcement. Expected attendance is 200-300. The Real Estate Challenge is part of the NAIOP Washington State Foundation, which was formed in 2003 to support NAIOP’s vast community initiatives. Sponsors enjoy exposure to the entire northwest commercial real estate community including Vancouver, B.C., and Portland. Support the next generation of commercial real estate professionals. All sponsorship opportunities are first come, first served from the date payment is received.